Hester Clara Darby joined the staff of the School of Mines, Ballarat (SMB) as an assistant to senior Commercial classes in April 1916. On 01 February 1921 she was appointed a lecturer in Commercial Correspondence and Office Routine. She taught the 'Touch' Method of typing, Commercial Correspondence and Office Routine. The classes were held in Oxford Chambers, Lydiard Street South, opposite the Wesley Church, which incidentally had been built by Hester's grandfather, James Darby. Hester Darby was one of the first students at Miss Abram's commercial college on the corner of Albert and Dana Streets. Most of the students were enrolled through the SMB. Darby then taught Pitman's Shorthand at Miss Abram's College for two years. She then spent time at Ronaldson and Tippett's office in Creswick Road, as a stenographer. When Abrams severed connections with SMB in 1920 Hester Darby and Miss Ethel Bult were engaged in teaching the SMB commercial classes. By the time Miss Bult left SMB to reside with her parents in Melbourne the commercial classes were housed in the main SMB building and Miss Mavis McTaggert was on the staff. 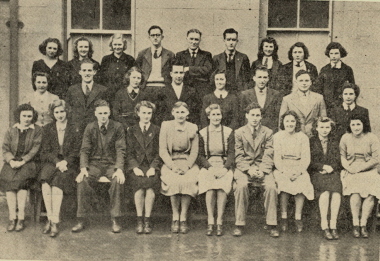 During the war years Hester Darby, still teaching at SMB, worked as the honorary stenographer to the Ballarat Area Office. She was working in this capacity when troops from USA were billeted in Ballarat. It was not until the end of WW2 that a full time paid employee (WAAC) was employed and this woman was one of Darby's former students. After 41 years Hester Darby retired from the position of Typewriting Instructress in the Commercial Department in 1962. At the social gathering attended by members of the school staff she was presented with the gift of a clock. 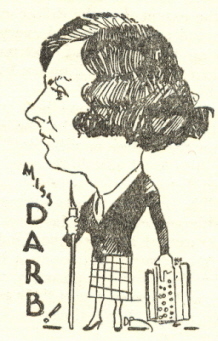 Miss A. Jones commented about Miss Darby's enterprise, and 'of the many students who, in their varied spheres of employment, were indebted to her for the thorough training they had received while at the SMB'. 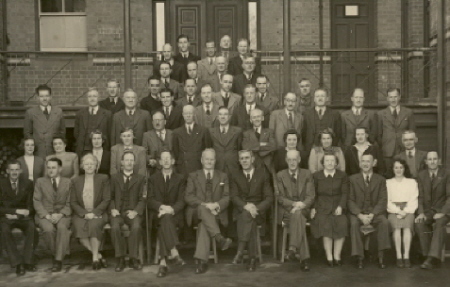 The School Council determined on 16 May 1962 to send 'a letter under SMB seal ... to Miss Darby in recognition of her long and loyal service'. Back row L-R: F.L. Collins, A.W.Bridson, J.J.Hanrahan, H.Brew, G.W.Cornell.